This weekend, the temperatures are plunging in the Northeast and all I want is heavy beer and braised meats. It is like a soft blanket for my palate. This time of year is also fantastic for oysters, as the meats are sweet and the briny liquor is brimming on every bivalve. So, how can we enjoy these two wonders together? 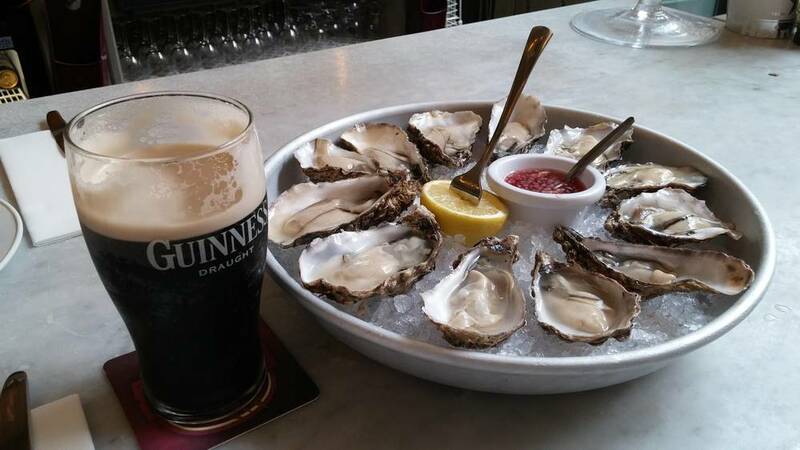 Oysters and stout is a match made in heaven. At first thought, the pairing may seem off, but according to acute culinary science, it all makes perfect sense. The balance of any mouthful is a play on the five tastes; sweet, salty, sour, bitter, and umami. These tastes play off one another to create various levels of enjoyment from palate to palate, and explain various reasons for why we eat the way we do. For instance, a hot cup of black coffee has nutty and roasted aromas, and can be bitter and sour. Some people like this flavor, so they drink it black. Others may find it too harsh, so they will lessen the bitter with sugar and mute the sour and the rest of the bitterness with cream or milk. The same thing takes place when you see fancy chocolates with large flakes of sea salt on them. Chocolate has some bitter elements to it with roasted cocoa aromas. The salt reduces the sensation of being bitter while making the bite taste all that more toasty and sweet. See? Science. Now, apply this concept to our stout and oyster pairing and we can see why it works. The sharp bite of brine in an oyster, say one of our Standish Shores, and the toasty chocolate of the stout will pop, just like the salt on your gourmet chocolate bar. The sweetness in the oyster will then, in return, lessen the bitter finish of the beer, leaving behind the creamy texture that any good stout should have. Next time you’re out at your favorite oyster bar, be sure to experiment with this pairing and see how it tastes to you.